Images Morgens Hansen / Full gallery at his FB page. This 2015 Worlds will grant 3 spots for Rio, US, ESP ARU teams among others are still to get their ticket for 2016. 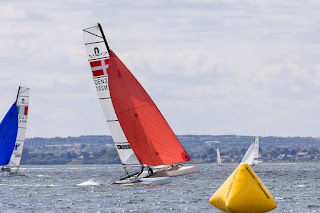 Racing starts today, no Live Tracking link till now. 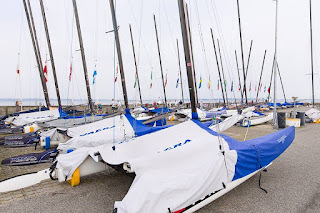 Event ends on Friday , one day before F18 Worlds at Kiel 2015. Nacra 17 Entries at Aarhus> 66 boats.